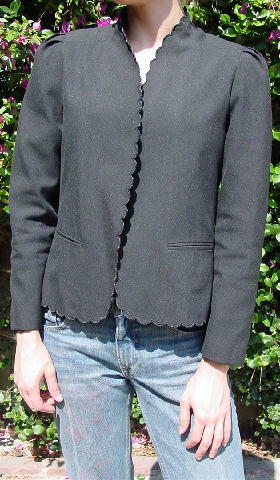 This black vintage jacket is by E.H. Woods and is 100% polyester. It has a nice black lining, shoulder pads with 3 shoulder seam pleats, and long sleeves. 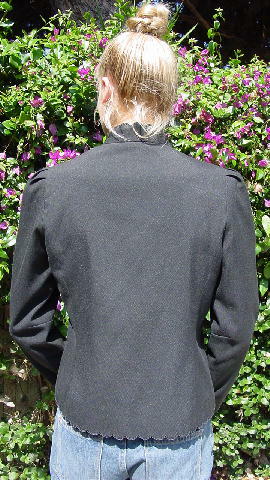 The collar, both front sides, and the bottom, front, and back have scalloped edges. There are two lower front slash pockets. armpit to armpit (sides touching) 18 1/2"